SharpCloud has partnered with Asset Insights to address Transport and Infrastructure Markets in the UK. They bring a unique set of business partner skills and can add value to clients on every step of their SharpCloud journey. From the formative stages of solution architecting and assisting with trials, through to automating data ingestion, fusion with existing corporate tools and creating bespoke reporting outputs, Asset Insights help clients seamlessly introduce SharpCloud within their existing IT landscape. Asset Insights approach to strategic account management coupled with their solution development capabilities ensures organisations can scale with confidence. They are also investing in the tools, forums and events to bring this thriving population of SharpCloud users together. To this end, SharpCloud has worked in conjunction with Asset Insights, to stage a Transport & Infrastructure Showcase in London on Thursday 28th February. Meet the Asset Insights team and hear how leading Transport & Infrastructure organisations are turning to SharpCloud to enhance their decision-making capabilities and help them visually collaborate around their data and processes in new and innovative ways. (Register here). Confirmed attending organisations include: Network Rail, Arriva, BMT Global, Costain, UK Power Networks, London Chamber of Commerce, United Utilities, Department for Transport, Centre for Cities, Greater Anglia, Turner & Townsend. New business models call for organisations to operate in an ecosystem where value must be understood and managed across the enterprise. 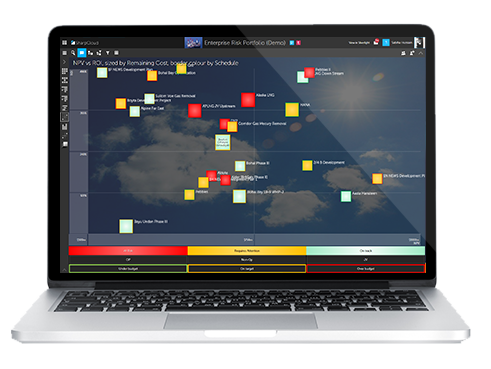 SharpCloud scales from the individual to the enterprise, naturally aiding analysis, collaboration and communication. Asset Insights is an Asset Performance Management (APM) company that combines decades of engineering and asset management experience with the innovative adoption of digital technology to create unique APM solutions and services.